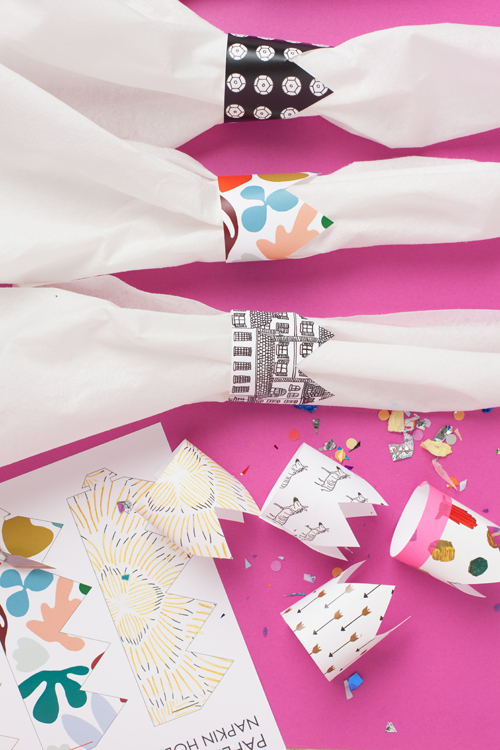 Yesterday I showed the adorable printed party crowns (see last post) for New Year’s that Kate Zaremba illustrated and designed. 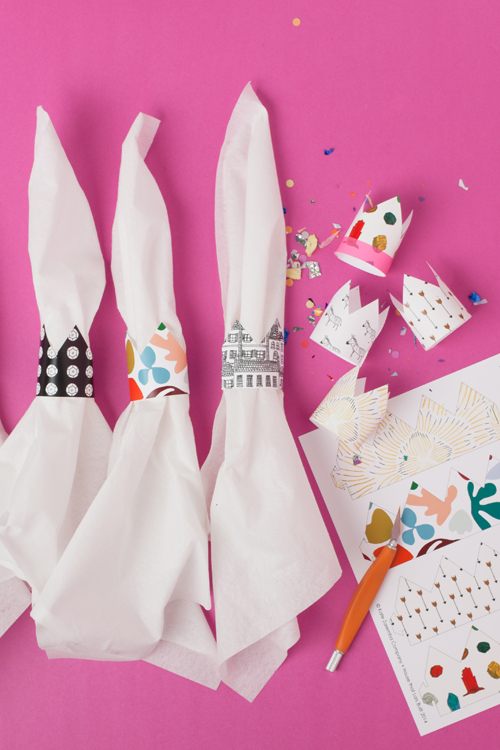 Today I have some fun printable napkin rings to go with them. 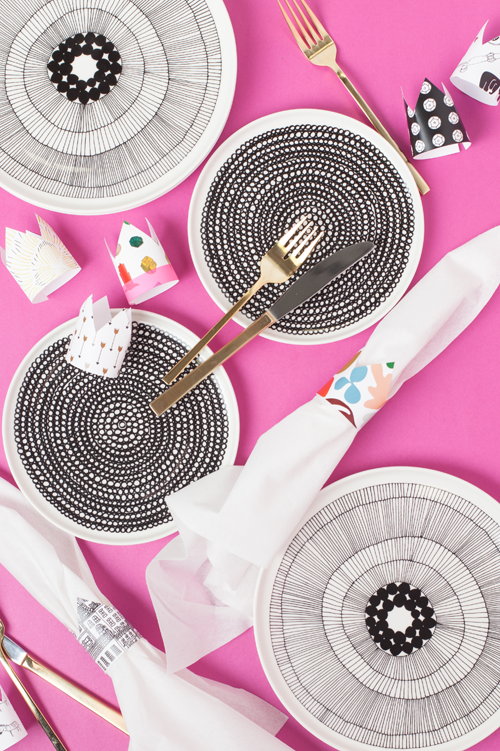 They’d be great fun on your New Year’s eve table. There are 10 fun designs to choose from! Step 1: Print off the PDF of the napkin rings. Step 2: Cut out with scissors or craft knife. Step 3: Assemble together with the lock/grid system.